Susan Callisto has left the law firm where she started out as a real estate attorney for a career as a political consultant, supporting candidates for local office. When Charles Renfrow walks in, asking her to work on his campaign for Mayor of Telford, MA, offering a $20,000 retainer, she should be thrilled. She's not, in part because he's crowding her. But Renfrow is persistent, persuasive, and that $20,000 will make a big difference in her struggle to pay her bills. They make a handshake deal that she'll advise his campaign if he can get the necessary signatures by the filing deadline--just a few days away. 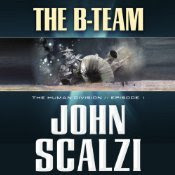 This is another short story, the first of thirteen connected shorts set in Scalzi's Old Man's War universe. The Colonial Union has a major problem. They're no longer on speaking terms with Earth, so they no longer have Earth as a source of new recruits for the Colonial Defense Force, and they're a couple of generations away from being able to recruit sufficient numbers from their own colony worlds to meet their needs. And meanwhile, about two thirds of their previously divided and chaotically at odds rivals have joined together into the Conclave. The CU needs all the allies it can get, and a race that hasn't been interested in negotiating a deal before now is. They send off the very best diplomatic talent they have--and that team vanishes, their ship apparently destroyed, before the alien diplomatic team could even arrive. Suddenly the CU is scrambling to save the situation and the negotiations, not to mention find out what happened to their ship. They have to work with what they have in range, though, and they don't have another "A Team" diplomatic team available. What they have available is Ambassador Ode Abumwe and her workaday "B Team" who normally handle much lower-level, routine diplomatic chores. This time they're being tossed in at the deep end, on no notice, and need to resolve a major crisis, as well as figure out what caused it and who's behind it. This is a short story, not a full novel. Boston homicide detective D.D. Warren is seven months pregnant, bored being stuck on desk duty, and not succeeding in making up her mind on whether to move in with her boyfriend & father of her child, Alex. So it's a welcome distraction when movie producer Donnie Bilger walks in to the station, looking for a police detective to act as a technical consultant on his new movie. He had one, a retired cop, but that guy has apparently taken off on vacation with his very ample paycheck. It's a lot of money for at most a few days' work, and D.D. can feel useful rather than feeling like a lump. What could go wrong? What could possibly go wrong? This is a great introduction to the series if you're not familiar with it, and a nice little extra for regular readers of the series. Ruso and Tilla have arrived back in Britain, newlyweds and in need of a place to live and a job for Ruso. 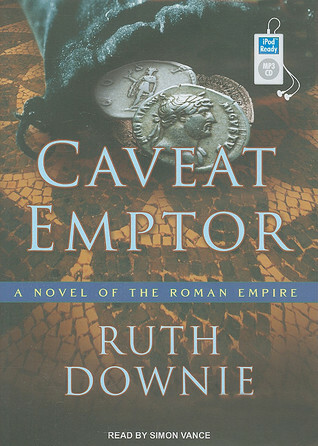 Ruso's old friend Valens, from his army medic days, has found him one--as an investigator for the procurator, to locate the missing tax money, not to mention the missing tax collector, Julius Asper, from the town of Verulamium. Asper's lover Cama (spelling optional since I listened to the audiobook), traveled the twenty miles from Verulamium to Londinium to report Asper's disappearance and what she believes to be the perfidy of the town leaders. She quickly winds up at Valens' house, giving birth to Asper's baby with Tilla as mid-wife. It's fair to say up front that Nathan Winograd is not a calm, easy-going kind of guy. He's a passionate advocate for shelter reform and animal welfare, and he does not mince words or give quarter to those who disagree with him. 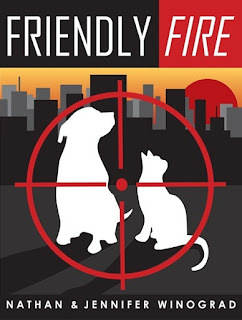 This is a tough discussion of what's wrong in the American animal sheltering system, what can be done about it, and what, or rather, in his opinion, who the problems are. 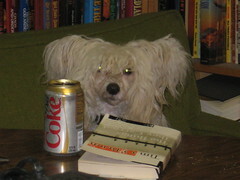 The Winograds discuss, in sometimes painful detail, what's wrong in many American shelters: bad hours, bad hygiene, bad procedures, poor standards, high kill rates that have nothing to do with the animals that come in and everything to do with bad standards of care, inaccessibility, and obstacles to, rather than promotion of, adoption. I've waited for years for Ivan Vorpatril to get his own story. He's been playing the not-overly-bright clown for long enough, and it's good to see him get a little bit of the attention he has carefully avoided. As the quietly capable but unambitious staff officer to a Barrayaran admiral, Ivan has been enjoying his bachelor life. Both his cousins, Emperor Gregor and Imperial Auditor Lord Miles Vorkosigan, have cooperated by producing heirs that make Ivan much less a target of interest. All is going smoothly, until Byerly Vorrutyer shows up at the door of his temporary apartment on Komarr, asking him to please go charm and protect a young woman whom Byerly believes may be on the hit list of a crime syndicate he's investigating. 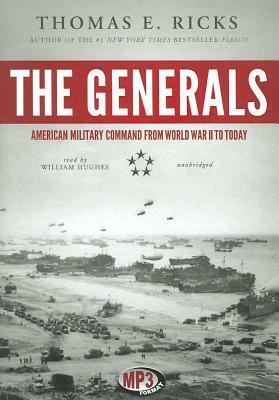 Thomas Ricks gives us very thoughtful history of the Army's general officer corps from World War Two forward to the near-present. (At the time of writing, David Petraeus was still Director of the CIA.) Be warned that it's not "objective;" Ricks has a definite viewpoint, and serious concerns about how we are currently training and educating the Army's senior officers. He begins with WWII, George C. Marshall, and the generals that Marshall, and under him, Dwight D. Eisenhower, mentored and promoted. Marshall valued strategic thinking, a positive outlook, teamwork and cooperation, and an energetic commitment to moving forward. They easily and frequently removed officers, including generals, who were not performing adequately or achieving battlefield success, but they also often gave those officers second chances, new combat commands, rather than being relieved being a career-ender, as it became later. Chicago actress Morgan Taylor is thrilled to get an audition for a major production of a play, not quite as happy to find that she is paired for the audition with aging, not-very-talented Lily London, very unhappy when Lily doesn't show and she has to read with a monotone stagehand--and hysterical when she discovers Lily London, dead, in the ladies' room afterwards. 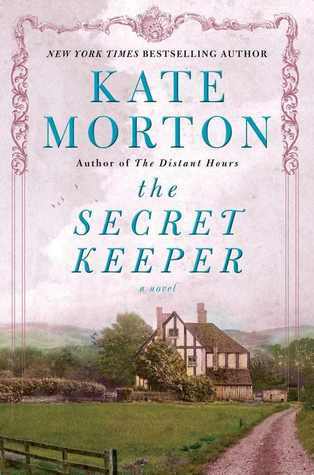 Her unhappiness knows no bounds when her best friend Beth, suffering from multiple sclerosis and the unexpected heir of Lily's unsuspected millions, becomes the prime suspect. 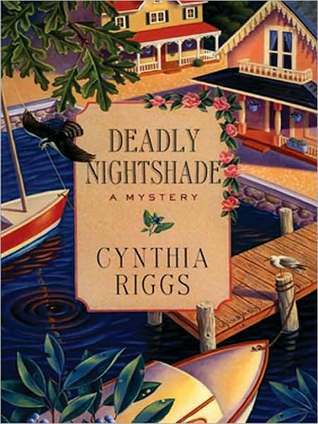 When Morgan lands the part she auditioned for and her understudy is killed with the same poison that killed Lily, Morgan knows she has to find the answer before she is the next victim--and before Beth is arrested. 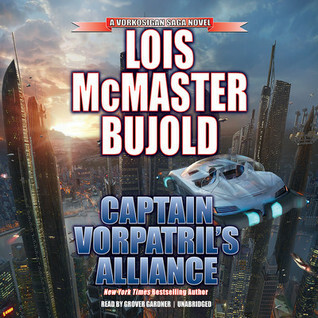 Imperial Auditor Miles Vorkosigan is once again in his favorite situation--in the midst of a major mystery, with people trying to kill him or exploit him. This time, he's on the planet Kibou-daini, checking out the cryocorps--corporations that freeze corpses for future revival when their medical conditions are curable--because one of them is attempting to expand its franchise to Komarr. 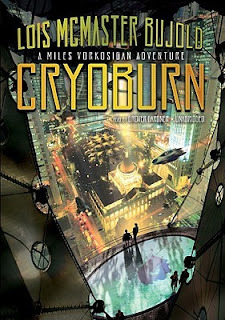 This is a fun Miles romp, through a planet where the dead aren't dead, at least they're not supposed to be, and they still vote--or rather, the corporations that hold their contracts and their proxies do, on their behalf. When political activists dedicated to equal cryo rights for the poor discover that some of those voting cryocorpses may be real corpses, due to a covered-up failure of cryo fluid a generation ago, the cryocorp responsible has a major secret to hide, and a powerful reason to make people disappear. Meanwhile, other activists want to simply burn all the cryocorpses, and let their property pass to their descendants. Georgia Walker had her heart broken in her mid-twenties, and has spent the intervening thirteen years raising her daughter Dakota alone. She's built a successful small business, running a yarn shop, Walker and Daughter, and is starting to build a small reputation as a designer of elegant knit clothing. 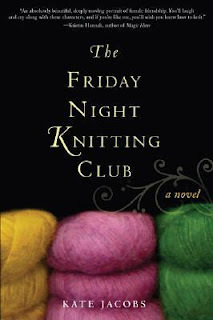 To her own surprise, as socially withdrawn as she has been since the break-up with Dakota's father, she has recently started a Friday night knitting group in her shop, and has started to regard this odd collection of women as friends. Then Dakota's father, James, comes back from France, a successful architect, and wants to be involved in Dakota's life. That's hard enough for Georgia to accept; she's never really gotten over the feelings of pain and betrayal from James' sudden departure from her life just when she thought they'd be starting a family together. 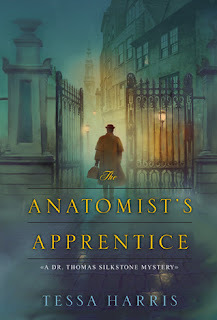 Thomas Silkstone is a young colonial physician who has moved to London and taken up the infant art of anatomy and the even more infant art of the postmortem. One of his students, Francis Crick, sends his cousin, Lady Lydia Farrell, to him after her brother, Lord Edward Crick, dies under mysterious circumstances, with her husband, Captain Farrell, the most obvious suspect. Against his better judgment, and against the advice of his mentor, Dr. Silkstone travels to Oxford to examine Lord Crick's body, when he has been dead long enough for considerable decay to have taken place. Michio Kaku is, in my opinion, our most entertaining science popularizer right now. He's a theoretical physicist and a science fiction fan, and the result is he's not afraid to imagine and project what might be, as well as talking knowledgeably about what we do know and can do now, on the cutting edge of science and technology. 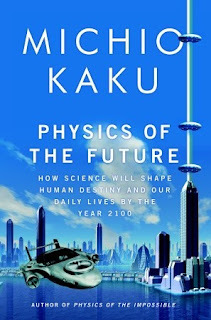 In this book, he looks at what we can expect in technology in manufacturing, information technology, medicine, and transportation, in the near, medium, and more distant future. Said that way, it doesn't sound too exciting, but three-d printers, nano-technology, self-driving cars, and the ability to slow or reverse the aging process offer possibilities as amazing to us as airplanes and space travel would have been to 18th century Europeans. Programmable matter, able to transform into any number of different tools and objects at the press of a button, might turn out to be one of the more mundane developments. Victoria Trumbull and her niece Elizabeth live on peaceful Martha's Vineyard--peaceful, that is, until Victoria hears a scream, investigates, and finds a body on the outgoing tide. Victoria starts, not investigating, of course, just wandering around her island home noticing things and asking questions. Which, unfortunately, the wrong people notice. 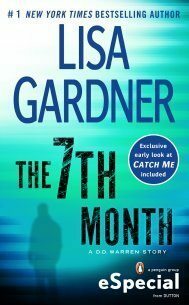 Elizabeth, who drives her aunt around, and works for the harbor master (a retired NYC cop whom some people find to be very out of place on the island), starts to have some scary experiences--being followed, nearly driven off the road, unexpected and unfamiliar visitors when she's on the late shift at the harbormaster's shack. 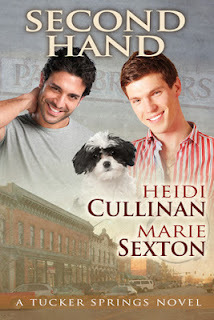 We get a lively picture of island life, the mix of the old residents and the new, the social changes disrupting old ways, the tourists, and a presidential vacation. The characters are interesting, individual, and compelling. 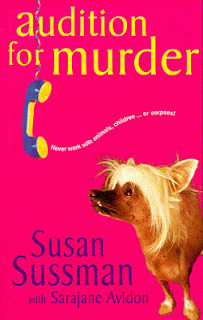 I'm looking forward to reading more of this series. Newton Minow, who helped bring the presidential debates into existence, and then helped guide their development, wrote this history of the debates for 2008. University of Chicago Press re-released it as an ebook for the 2012 elections. Nora is twelve years old when, because of World War II, she becomes one of the thousands of English children put on trains out of London into the safer English countryside. Her mother puts her on the evacuation train for her safety, but Nora feels it as an emotionally devastating rejection. 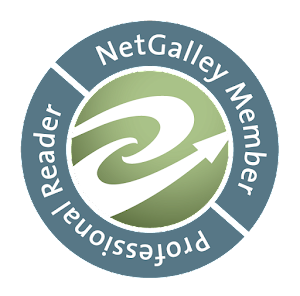 When she reaches rural Kent and is taken in by the Rivers family, she bonds immediately with their daughter, Grace, is enchanted by Mrs. Rivers, and grateful for the new world Rev. Rivers opens up to her with education. 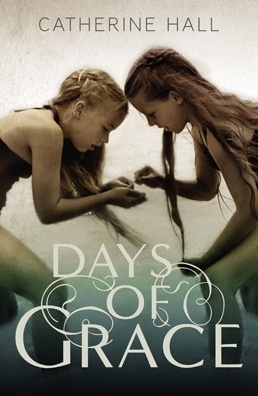 Nora and Grace grow as close as sisters, but as the girls reach adolescence, she discovers that even that is not quite close enough. She wants more, something that at that time and place she can't even ask for. And gradually she learns that this idyllic family is not quite so idyllic as it looked at first. There is a grief and a barrier between Rev. and Mrs. Rivers, and a fatal weakness in the Reverend. Paul Mitchell is a young, newly-minted veterinarian, beginning his career at Prospect House Veterinary Hospital. Everyone, from the vet owners of the practice on down, is eccentric, to put it mildly. This includes the husband and wife who own the practice and who have their own very decided views, the receptionist with one working eye and one false eye, which comes out accidentally from time to time, and other support staff including Lucy, the young vet tech who becomes Paul's girl friend. She keeps rescuing animals, and she and Paul have a steadily growing menagerie, including the goose originally acquired for Christmas dinner, but who proved too good at home security to eat. But the eccentricities of the staff are as nothing compared to the eccentricities of the clients and other assorted neighbors. There are the two older ladies still actively farming, and still living in a time about four decades ago, at least. There is the family with one dearly loved pet pig among the livestock on their farm, and the couple who dote on their pregnant mare, and are convinced that normal symptoms foretell the imminent loss of their pet. 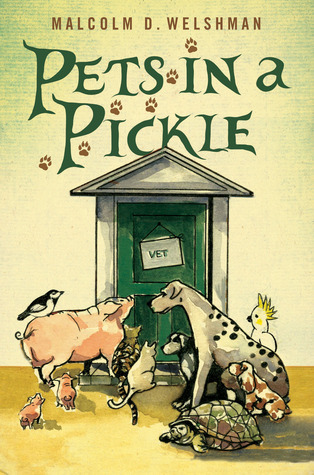 It's clear the aim of this book was to tap into the ample market created by James Herriot's tales of his veterinary adventures. 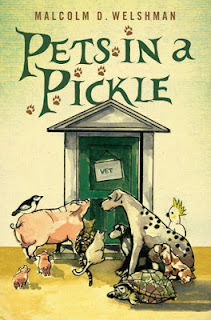 Pets in a Pickle is a fun book, but not in James Herriot territory, sadly. It suffers from the fact that fiction has to be plausible, while non-fiction only has to be true. Paul is a young man who has been dumped by his girlfriend Stacey for a man with better prospects. Paul, sadly, is still hung up on her. El--Emmanuel Rozal--runs the pawn shop he inherited from his granddad and avoids all relationships because he sees all the failed relationships (but not the successful ones) all around him. El, by the way, is gay and out, and however mixed up his family is in other ways, it's just not an issue for them. One day, spurred on by the need to do some outside maintenance on the rundown rented house Stacey picked and then left him with, Paul walks into El's shop. Laurel Nicolson is an actress now in her mid-sixties, successful and happy in her career. She's come home with her brother and sisters for her mother Dorothy's birthday--her last birthday, as Dorothy Nicolson is fading both mentally and physically. 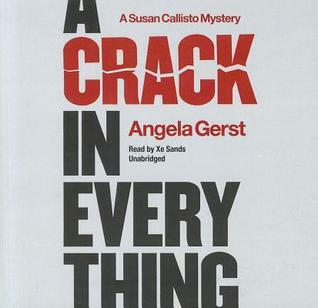 And Laurel finds herself obsessed with a long-buried mystery, the shocking day in her teens when, sitting in a treehouse, she saw her mother--her kind, generous, loving mother--kill a strange man who approached her in front of the Greenacres farmhouse and said something alarming. The man was Henry Jenkins, a writer who had been popular in the thirties and forties, but had since faded and declined, obsessed with the death of his wife Vivien and having acquire a reputation as the "picnic stalker." It doesn't fit the mother she knows, and Laurel decides she has to know the truth.